Working in public accounting for eight years gave Jann an excellent foundation on which to build. As a Certified Public Accountant, she prepared financial statements and tax returns for individuals and small businesses. Her accounting background led to a fifteen year career with a bank trust company where she managed the employee benefit department. Retirement planning is only part of the puzzle, so in 2001 she began her own financial services practice. A graduate of the University of North Texas, Jann has a degree in accounting, is a Certified Public Accountant* and a CERTIFIED FINANCIAL PLANNER. She has an insurance license for life and health and maintains Series 7 and 63 securities registrations. Jann lives with her husband Tom and has one daughter, Lauren, who is also a resident of Norman. When not at work, she can be found helping Tom with Redbud Ridge Vineyard and Winery. A big believer in giving back to her community, Jann is a past President of University Women’s Association for OU, past President of the Central Oklahoma Chapter of the National Association of Insurance and Financial Advisors. She currently serves on the Board of United Way - Women in Action and the Central Oklahoma Master Conservatory District. Jann is a member of First Presbyterian Church in Norman, where she serves as a Trustee and the Chair of the FPC Foundation. During her career she has served on many nonprofit boards. Jann Knotts is a registered representative of and offers securities, investment advisory services, and financial planning through MML Investors Services, LLC. Member SIPC. Supervisory Office: 1300 N Walker, Suite 200, Oklahoma City, OK 73103, (405) 486-1400. *Authorized for accountancy services in the following states: Oklahoma and Texas. Not practicing on behalf of MML Investors Services, LLC or its affiliated companies. 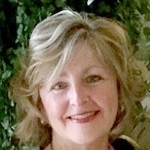 Cindy Jondahl joined Financial Journeys in February 2004 as an Executive Assistant to Jann. 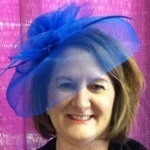 Cindy wears many hats in the office: receptionist, office manager, administrative coordinator, and sales assistant. She is interested in computer technology and serves as a great resource whenever research or creativity is needed on the computer. Cindy has been an Executive Assistant for over 40 years. She has achieved both the Certified Professional Secretary (CPS) and the Certified Administrative Professional (CAP) designations. Cindy likes being creative and enjoys sewing, knitting/crocheting, crafting, reading, dancing, and designing and collecting hats and costumes. She is an active member of McFarlin Memorial United Methodist Church where she knits shawls and scarves for the Prayer Shawl Ministry, serves on the Advent Festival Committee, and is a member of the Helping Hands Circle. She has been married to her husband Joe for over 30 years and they have two grown daughters.